Sovereign money is a plan or program which will give the central bank of Switzerland an exclusive control over making money, rather than continuing to let commercial banks to make money for loan and credit purposes. The Swiss sovereign money referendum – that garnered about 25 percent or 500,000 affirmative and confirmatory votes- was opposed by the Swiss central bank that stated that a passing vote would have made its work noticeably more difficult. Austrian National Bank official Beat Weber commented that the principle of Swiss sovereign money or also known as vollgeld in the German language can be measured to the application of BTC or other types of digital currencies as a non-credit based economic system. Beat Weber stated that the resemblances between the sovereign money and Bitcoin that take away the capability of the commercial banks to produce money in the type of issuing loans without essentially having the capital to support them- arises from the inference which for both systems, “ money isn’t safe except it ceases to be a claim on an issuer. Weber added, the underlying principle is that commodity like cash would allow people possession of money without reliance on an issuer that might suddenly become not capable of making good on its pledge. Emma Dawnay, MoMo a board member of the group accountable for the initiative of sovereign money told Forbes that cryptocurrency can have been utilized under this system they were proposing. According to Emma Dawnay, Blockchain technology and cryptocurrency does look like where people are heading. She also stated that although the initiative of the Swiss sovereign money will not be adopted at present, blockchain system can be how the government can try to bring credit free new money into the financial system. 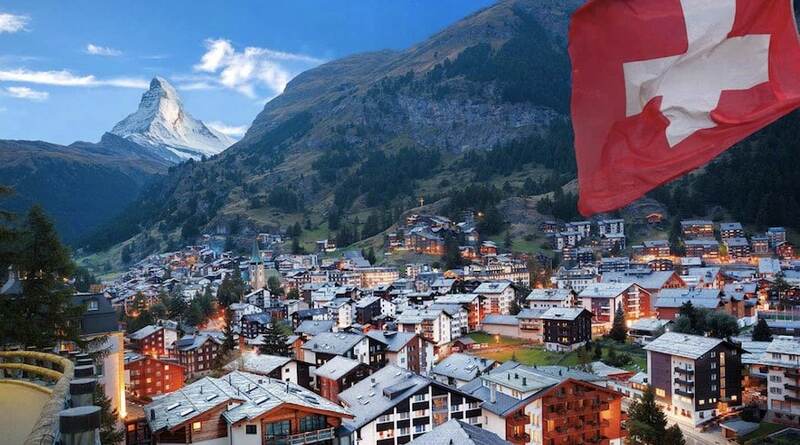 Switzerland is very popular due to its sincerity to cryptocurrency. In fact, this country is called Crypto Nation. Thanks to its cryptocurrency hub in Zug as well as the friendly tax regulations which attract crypto-related firms. Earlier this month, Zug announced that they will be running a municipal trial vote powered by blockchain this coming summer season. This allows people of Switzerland to vote on local concerns and issues with the use of their smartphones and other types of gadgets.